You’ve probably heard of something called the jQuery Form Plugin. It’s a bit overwhelming looking at all the options and trying to extract just the functionality you need if you aren’t a JS Jedi, though. And so, without further ado, I present to you jQuery Form Submission for Dummies! Be sure to put the jQuery Form Plugin include after your jQuery include. After the form is submitted, the target element to be updated with the results of the form posting action is #form_wrapper. Usually this will be a DIV with the id specified. The next two functions are the actual formBeforeSubmit() and formAfterSubmit() functions that are called at the appropriate time. formAfterSubmit() is basically the callback function like with any other jQuery function. If you don’t need one or both of these callbacks, simple remove the function itself as well as the corresponding line from myFormOptions. Finally, the last little bit of jQuery says, “take the form with id=’myForm1‘ and make it AJAXified using the options defined in myFormOptions“. Of course, there are a lot more options in the jQuery Form Plugin if you want to go totally crazy. 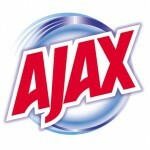 You can even use it for AJAX file uploads.